Nowadays so much of our time is computer-occupied and it’s far too easy to neglect the beautiful, touchable things of our world. Here are a few sites to combat this dilemma. Each of them has stunning photography that makes you say “I wanna do that.” They’re also instructive so you really can. Cool. Inspiration and instruction for a more tactile living! I wanted to thank my kids for their Mother’s Day gifts and making these pop-up cards from Oh Happy Day seemed appropriately special. 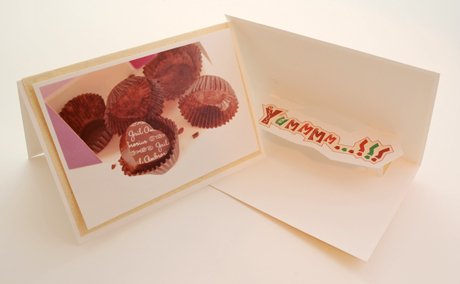 This blog, by Jordan Ferney, is great fun…pop-up cards and much, much more! I used to hate cooking. Now I’ve learned to appreciate the process and I actually enjoy it. Here’s one of my favorite healthy food blogs, 101cookbooks.com. Philippians 4:8 has long been one of my goals. I fail so often. Maybe I need to create this reminder by House Rivivals.